it would be unethical not to use it." ​~ John H. Kennell, M.D. ​﻿We work together in partnership. Sharing prenatal visits and on-call time allows for us to better serve families by working harmoniously together. * We can meet with you individually upon hiring for your prenatal visits. This gives you a great opportunity to make a connection with each of us. * As doulas, we can call each other for back-up at a long birth bringing fresh energy. * Combined we have the experience of supporting over 60 births. We have attended home and hospital births., water births and mothers with epidurals, inductions, Cesarean births and VBACS and many other variations. We attend women birthing at West Lincoln Memorial Hospital, St. Catharines Hospital and at home. If you prefer more postpartum support you can change the package to have 1 prenatal and 3 postpartum visits. 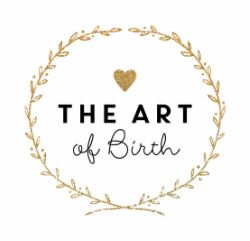 ​A doula makes the perfect shower gift!